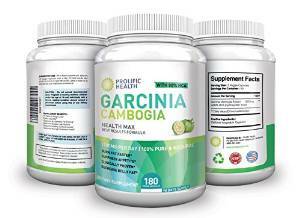 I have been struggling to lose weight for quite some time now, and recently ordered this 80% HCA 100% Pure Garcinia Cambogia after a friend told me that her husband had lost a significant amount of weight while taking a similar product. I have only been testing this for a short time but have already noticed a decrease in appetite and have lost a few pounds. The dosage is 2 capsules daily so the bottle of 180 capsules is a 90 day supply. They recommend that you don't exceed the recommended dosage, and that if you are pregnant, nursing or have known health conditions you should contact your doctor before taking this or any other similar product. My doctor is working with me on my weight loss mission, and had no objections to me testing this product despite my medical conditions. He only cautioned me to keep an eye out for any adverse reactions. So far it seems to be helping with no side effects. Since I have lost a bit of weight already on these, I will continue to test this product and update if necessary.